It is only an eighth of a kilogramme packet of sugar, yet many Kenyans can barely afford it. This particular size of sugar has many references among residents of Nyanza Province, such as kobole, Kadogo and Sukari ndogo. However, the high cost of living has made many Kenyans to do without basic commodities, including sugar. “Since Monday I have only sold two packets of Kobole. The quarter kilogramme packets are not being bought,” said Kaindi Chango, a kiosk operator at Kisian trading centre. It is conspicuous that all the items Mr Chango, 31, sells are in small quantities. Some of these commodities are bar soap, packets of tealeaves, detergent and grains. A few yards from the Chango’s stall, Gladys Achieng, 26, struggles to sell cooking fat that she has packaged into sizes of about 10 grammes for Sh5 per packet. Locals aptly refer to this packet as oloyo nono (it is better than nothing). “I sell about 100 packets daily. Last week I increased it to Sh6 per packet, but retracted after locals declined to buy. I am even struggling to sell a quarter kilogramme of Omena for Sh30,” explains Achieng, a single mother of two. Kennedy Nyaoke, a father of three said the high cost of living has compelled the family to take strong tea, during breakfast on most days, as their kiosk business is performing poorly. “Some days we do not sell anything. I am only doing this business because there is no other option and my children need to eat,” he said. He sells an eighth of a kilogramme of rice at Sh20, though only a few customers buy it. Kisumu businessman Odunga Mamba said most businesses in the region have been adversely affected by the inflation and the sale volumes had declined. In Kakamega many people have adopted various survival tactics to cope with rising inflation. Most residents admitted that their incomes have remained constant over the years even as the cost of living rises. Reuben then buys kales (Sh50), paraffin (Sh10), cooking fat (Sh10), tealeaves (Sh10) and maize flour (Sh70 – 1kilogramme). After her shopping, Reuben is left with Sh100, which she saves for house rent. Her monthly rent is Sh3,000. She said that most of the times she skips lunch as having three meals a day is impossible. “If I have to eat lunch, it is usually githeri for about Sh30,” she said. Ruth Ayuma, a businesswoman, is angry at the economy and has been forced to cut down her household budget. “I have to minimise my spending so that as a family we do not sleep hungry,” said Ayuma. She runs a kiosk at the Kakamega Municipal Market. Elvis Jumba noted that landlords have made the problem worse by hiking rent to cushion themselves against high cost of commodities. Investors will be invited to provide rolling stock such as trains and high capacity buses under the Nairobi Metropolitan Mass Rapid Transport System (MRTS) set to start next year. Transport minister Amos Kimunya said on Wednesday the government would only build the 167-kilometre public road and rail network, leaving private companies to manage the services. “Our focus on this project would be laying of infrastructure such as roads, railway and commuter termini but leave the rest such as the trains and buses to the private sector to handle,” Mr Kimunya said when he met a delegation of investors from Japan in Nairobi. The grid will link the city centre with key neighbouring towns and municipalities such as Kikuyu, Thika, Ruiru, Athi River, Kitengela, Machakos, Limuru and Kajiado. A feasibility study by Consult Engineering Services of India and its Kenyan partner APEC Limited showed the project would cover nine road corridors including the Nairobi Railway Station (NRS)-Ruiru-Thika, NRS-Juja Road-Kangundo, NRS-Jomo Kenyatta Airport-Athi River, NRS-Langata Road-Karen and NRS-Upper Hill-Ngong. The Nairobi Railway Station area, including the yards, has been proposed for the construction of a 24-storey central hub terminal for the transport system where all lines would originate or terminate. A blueprint presented to the government showed the road network would be serviced by an exclusive closed rapid bus system complete with special feeder services. The special bus routes will run alongside the normal highways except within the Central Business District (CBD) where it would be elevated. An estimated 378 buses would be required to operate this exclusive route service by 2015 with fares estimated at between Sh2 and Sh2.50 per passenger per kilometre. The rail network is proposed to be on an elevated platform with a total of 76 stations and five maintenance depots. “The operations of train and buses services will be left in the hands of the private sector” Mr Kimunya said, adding that diesel-powered trains would be initially used in the project that seeks to save commuters from biting traffic jams. “For a start we will stick to diesel-powered trains until we sort out capacity issues in our national power grid. 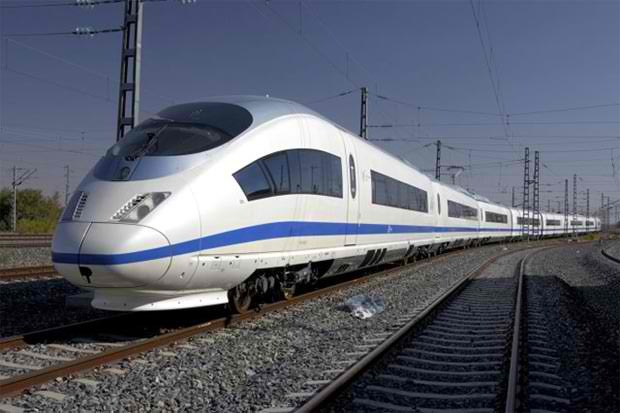 We don’t want to deny other sectors growth by taking all the power to trains,” he said. Phase One of the MRTS project would cover the corridors along Thika Road I, Juja Road, Jogoo Road, Ngong Road 1, Limuru Road and Mombasa Road comprising 50.18km of elevated rail lines and 40.42km of road. The second phase covers Outer Ring Road, Thika II, Waiyaki Way, Ngong Road II, Thika Road III and Lang’ata Road. The rail and road network in this phase would total 35.04km and 41.44km respectively. Consult Engineering and APEC Limited estimate the MRTS project would cost about Sh409 billion to implement though the budget could be varied once the design is complete. Some of the highways covered by project may be upgraded to between four and eight lanes, the consultants said. A ZAMBIAN national who had been in jail for over seven years on murder charges now wants to sue the Kenyan government demanding Sh50 million as compensation. Through his lawyer, Maseki Machuka, Cosmas Sampa Kabwesha, who was released three weeks ago, after the state entered a nolle prosequi over the killing of a Zimbabwean woman, was discharged on grounds that the prosecution did not have evidence to link him with serial killings. Sampa said he had been illegally detained at the Shimo La Tewa Prison, and his constitutional rights violated, yet the prosecution all along knew it did not have any evidence implicating him as a serial killer. He had also been accused for being involved in human trafficking syndicate. Maseki argued saying: “This is a violation of the rights of my client, and despite the state issuing a nolle prosequi, there were still some resistance from other quarters which led to him being detained further. The suspect was released by Lady Justice Maureen Odero on September 30 this year, after the state withdrew the charges against him. In the case, about six witnesses had already testified, including two women who were allegedly lured by the suspect, and promised jobs abroad. The prosecution had claimed that that the suspect allegedly used the internet to lure his suspects. Sampa was charged with killing a Zimbabwean woman, an offence that he allegedly committed at Maweni Village in Diani, Kwale on November 13, 2004. Earlier, the court rejected an application by Sampa, to have him released from jail, after he claimed that he was unlawfully detained by police for more than two weeks so as to extract a forced confession from him. The accused, the police claimed, admitted to killing the woman and further dumping her head in a borehole. A key witness who was arrested together with Sampa but later released had earlier told the court how two Zimbabwean women Portia Mubvinzi and Rhoda Tavengwa had looked for the deceased in vain until he told them that they would never see her again. Silas Mutunga was however released after police found out that there was no evidence incriminating him. NAIROBI, Kenya (AP) — Suspected Somali gunmen kidnapped two international Doctors Without Borders aid workers in the world’s largest refugee camp on Thursday, triggering a police pursuit by land and air after a spate of similar attacks on Kenya’s coastal resorts. The gunmen hijacked the workers’ vehicle and shot the driver in the neck, according to Baijo Mohamed, a youth leader in the Dadaab refuge camp. Regional police chief Leo Nyongesa said he believes the attackers came from Somalia because that was the direction they fled after the attack. The Dadaab camp lies about 50 miles (80 kilometers) from the border. “We are following them by the road and air. We have closed the borders. We are tracking them down,” Nyongesa said. The two international aid workers taken were likely Europeans, other security officials said. A Doctors Without Borders spokeswoman said she couldn’t immediately comment. A security official in Nairobi who spoke on condition on anonymity because he wasn’t authorized to speak to the media said that initial reports indicated two Kenyans also were abducted. He later said that report was inaccurate. Thursday’s attack follows the kidnappings of a British tourist and a French woman from Kenyan resorts near the Somali border and would appear to represent the escalation of a new tactic by Somali militants or pirates. Pirates have long sought ransoms in the millions of dollars for high-value hostages typically taken at sea. Gunmen took the French woman from her home near the resort town of Lamu on Oct. 1. Kenyan authorities gave chase but said the militants escaped into Somalia. The government blamed the militant group al-Shabab. In early September, attackers believed to have been Somali pirates shot dead a British man and kidnapped his wife from a resort north of Lamu. Dadaab is filled with hundreds of thousands of Somalis and would qualify as Kenya’s third most populous city. Kenyan officials have won international praise for accepting so many Somalis fleeing hunger and war, but Kenyans around Dadaab have increased their complaints that the Somali population increases insecurity on Kenyan land. Dadaab — a sprawling camp of makeshift and semi-permanent homes — holds more than 400,000 people. Tens of thousands of Somalis fleeing the famine in that country have flooded the camp in recent months.